It's been a while since I last updated this site and to be honest the question of how to re start the blog has been a bit of a sticking point. So with over six months gone what's it goin' to be eh? Well the question on my mind at the moment (and for some time) is whether or not we really are on the cusp of a significant change in the games industry. 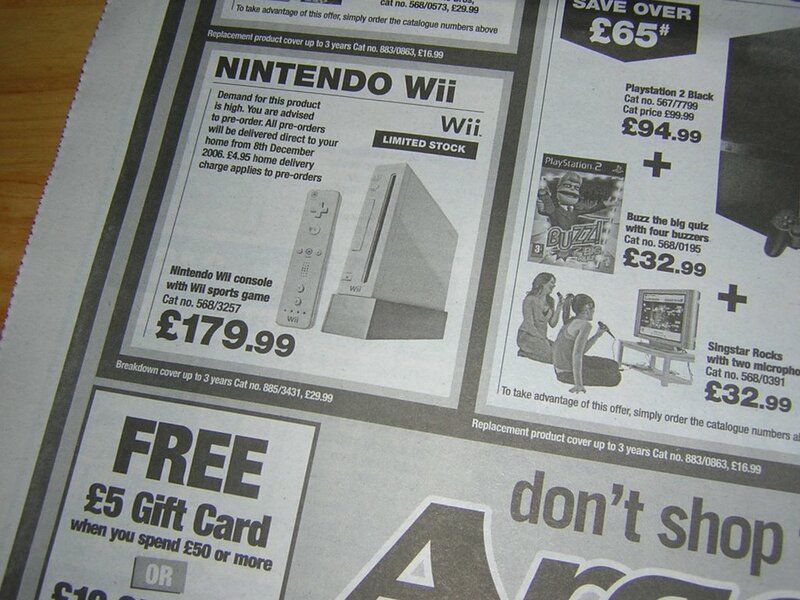 Yep you've guessed it… Wii. It has been the topic of discussion amongst friends over many a Pizza's and lunchtime ponderings and I hear 'everyone's' talking about it. For me it feels like this could be the return, the second coming, the biggest comeback of all time for Nintendo. However, before I go any further I must warn you that this opinion may be skewed by the fact that I'm a huge Nintendo fan. My first and only true love of videogames was sparked by the imagination and pure playability of Shigeru Miyamoto's masterpieces on the NES and something from that era stuck. So where Wii is to most people simply a 'pretty cool idea' for me it's 'hope'. Hope that it will be a vehicle that drives the games industry into making games where the focus is on us doing interesting things again rather than just looking and sounding as realistic as possible whilst shooting some stagnant AI in the face. Now Nintendo have already got the boat on the way to some degree by introducing us all to the DS and despite the ridicule by the likes of IGN in the early days it has become a true success story and in my opinion proves that games can be just that… 'games'. The DS doesn't have uber graphics, 7.1 surround sound, movie player, mp3 player, picture viewer, mobile phone, GPS receiver, HD display, 35 firmware updates and a web browser… do we care… exactly, because anyone reading this who already owns a DS knows exactly why it's enjoyable to switch on from time to time. So back to the question… will the Wii do the job? Firstly and most importantly it needs to be popular and I think there's a good chance of that happening. It looks like something Apple would make (i.e. nice), it's not that expensive, it's different, it looks easy to use, it has a blue light on it and the marketing features a wide spectrum of people using the damn thing. This combined with a pack-in game, which just about anyone can play, and a killer launch title such as Zelda and you've pretty much covered the entire demographic. Secondly, it is not a multi core multi threaded system with a GPU that can grill steaks, no it is a system that takes away the emphasis from clock speeds to: throwing, aiming, waving, balancing… you know… doing stuff. Like the DS, graphics aren't there to compete with the next game's box shot. 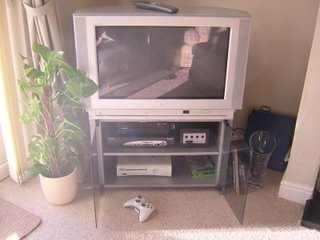 Graphics on the Wii are there to look 'good enough' and to facilitate the gameplay. For this reason I believe a lower spec is actually strength of the system and combined with popularity; it will shift publishers focus towards more imaginative development studios/projects and put something interesting to do on the shelves. Last but not least, I think we need a change. Things are getting stale. I've done PS1/2, Xbox / 360, Game Cube to death and you know what… it's all the same… I play the same old stuff over and over and every new Game Demo I download on Xbox Live is just another reminder of the fact that we haven't moved on at all really. Don't get me wrong, I still love playing them all but I'm not excited by much these days. You must feel it too, right? If you do then you know what to do. Well I'm resigned to the fact that it's probably going to take a while before I can experience the DS Lite for myself but in the meantime I continue to torture myself. Here's another video, by the same guy who did the last one, showing us a bit more DS Lite. The video covers things like how to hold it and what it looks like with a GBA cart sticking out of it.